Custom Vanities and shaving cabinets are what finishes off a beautiful bathroom renovation. From floor mounted to wall hung vanities with high quality hardware will ensure your bathroom will look fabulous for years to come. 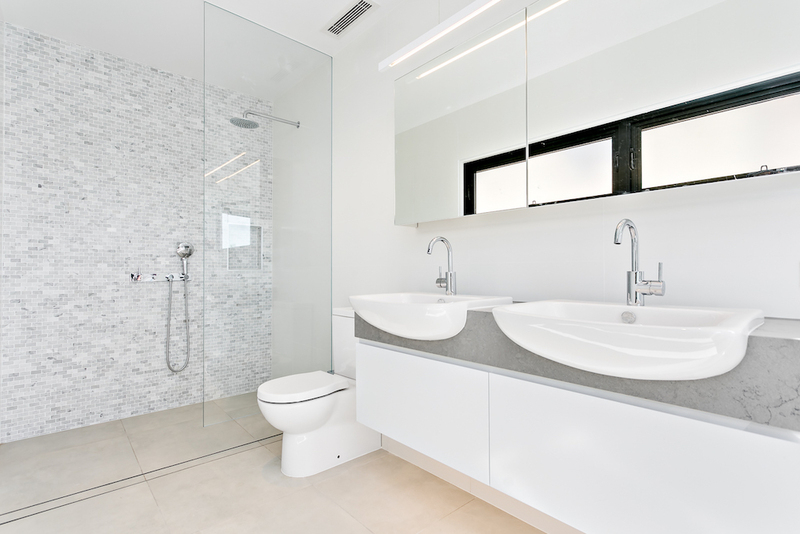 Why not design and build cabinetry to perfectly match your bathroom. At Total Kitchens we Build and design the perfect cabinetry to suit your taste and budget! Our vanities are built from high moister resistant material and through our design we can work around plumbing, add indirect lighting with LED Strip Lights, Soft Close Functioning drawers with life warranty and work with all your fancy fittings and selected finishes. no longer are the days where pre-finished, flat pack bathroom cabinetry is a standard. Every bathroom has its own flavour. Feel free to call Total Kitchens and talk to use about your dream bathroom ideas. We are here and happy to help (02) 9737 9033.